In our last newsletter, we discussed briefly the benefits of FOTA (firmware-over-the-air), the technology integrated into every BlueTraker terminal. FOTA enables us to remotely update and/or upgrade the terminal without interrupting its operation. Coincidentally, we just had a case where several BlueTraker VMS terminals on the field showed unexpected high speeds or displaced positions. What follows is a practical case of FOTA in action and an example of how we take care of our devices on the field. Our engineering team initially confirmed and investigated the issue. The cause has been identified as so-called »slow GPS drift« – an occurrence visible only on devices located in the far East and nowhere else in the World. Despite our efforts and mathematic filtering algorithm enhancement, we could not completely remove the »GPS drift«. Based on further investigation and information provided by the GPS module manufacturer, we confirmed that GPS module had been impacted. The root of the problem was a GPS chip embedded in certain versions of BlueTraker devices which didn’t correctly handle additional signals received from the newly launched Japan’s satellite that enhanced satellite-based augmentation system for GPS. The Azimuth/Elevation data calculation was impacted. EMA developed a new firmware for BlueTraker VMS devices that eliminated this issue. A deployment plan was scheduled for all remaining devices with built-in affected GPS chip. Thankfully, there was no need to rectify the issue by visiting vessels or replacing the units which both would be very costly and time-consuming. EMA has managed to upgrade affected units in almost no-time and once again proves unquestionable commitment to the client’s satisfaction. 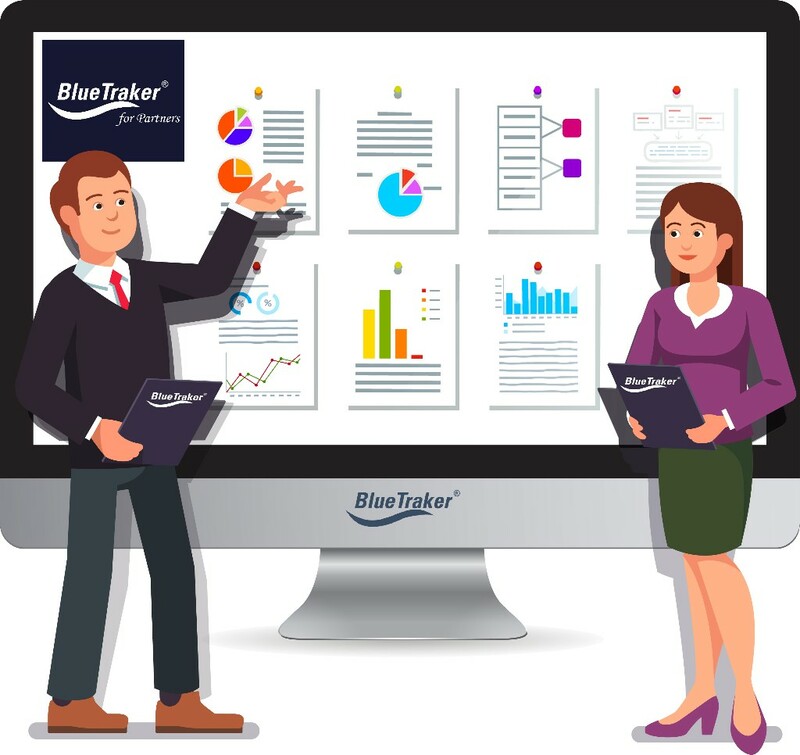 We strive to make our product BlueTraker: future-proof, reliable or in other words – a safe investment. Finding a solution when a client needs it, quickly and efficiently, is our credo. Once you get on board The Ocean Endeavour you’re bound for an adventure of a lifetime. Not only it is a comfortable, well-appointed small expedition ship expertly engineered to explore the remote Polar Regions, it is also the only polar adventure ship in Antarctica focused on health and wellness and offering the most adventure options. With its’ ice-strengthened hull, Zodiacs for exploration and remote landings, generous deck space and advanced navigation equipment (including our BlueTraker Long-range identification and tracking Arctic terminal) it is one of the most luxurious and at the same time safe vessels to board when exploring Arctic or Antarctic regions. Made for extreme weather conditions, our BlueTraker LRIT Arctic is the world’s only LRIT terminal that provides proven, safe and reliable tracking in the cold environments of Arctic and Antarctic seas. Being a benchmark terminal for LRIT operation with temperatures down to -50°C, it became a standard indispensable piece of tracking equipment on numerous cargo ships, oil tankers and research vessels around the globe. It is not perhaps a trip for the faint of heart, but along with a healthy dose of Dramamine, one is ready to take on the mighty waves on the way to the world of penguins, whales and magnificent icebergs. 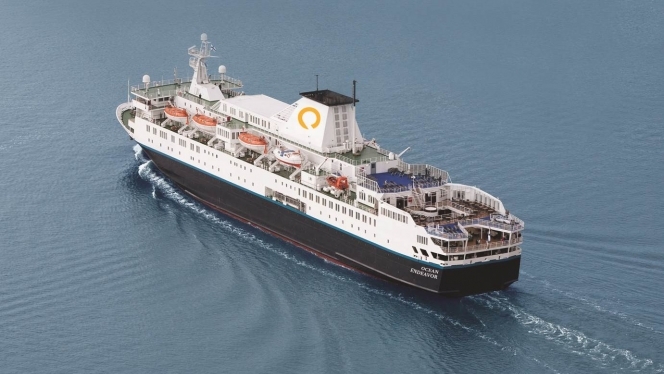 The Ocean Endeavour accepts 199 passengers and they can all be assured about their safety – BlueTraker Arctic is operating in every possible condition.